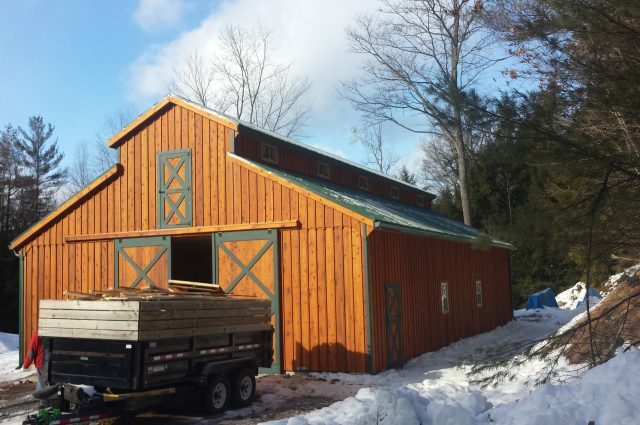 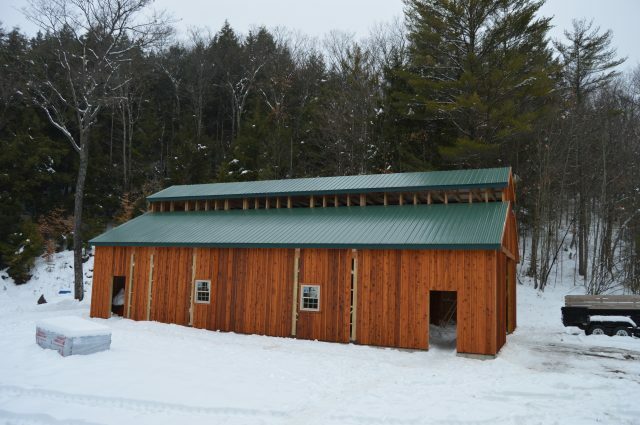 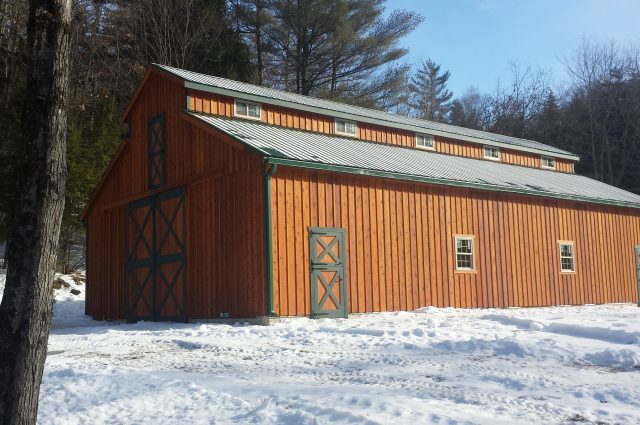 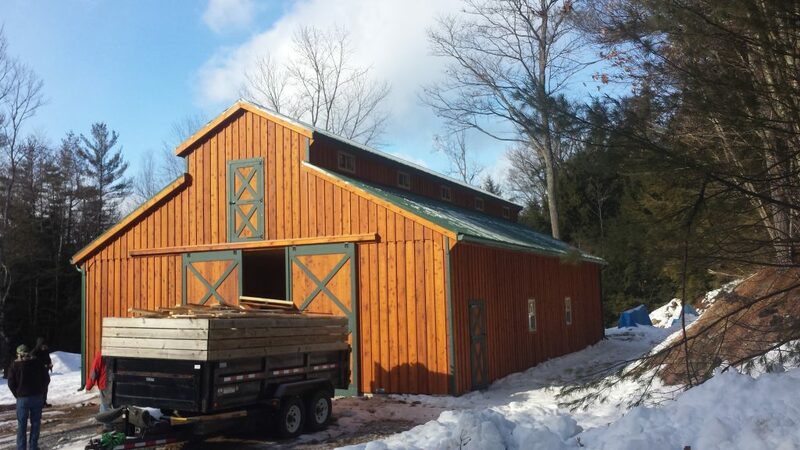 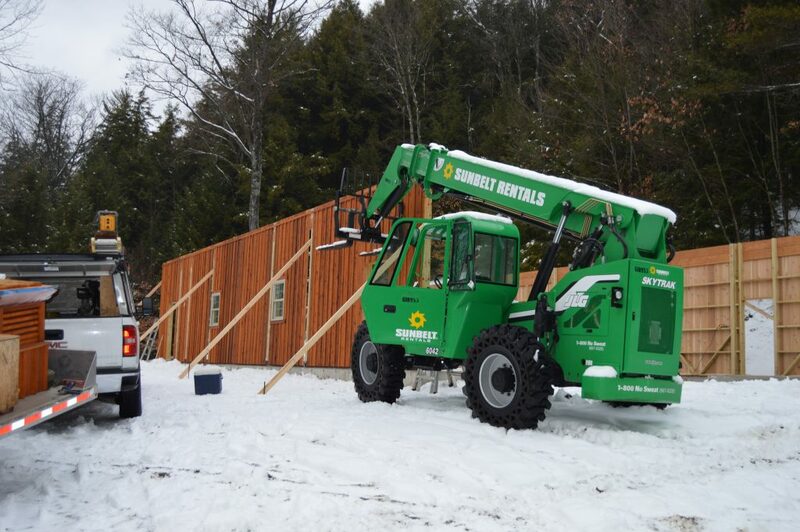 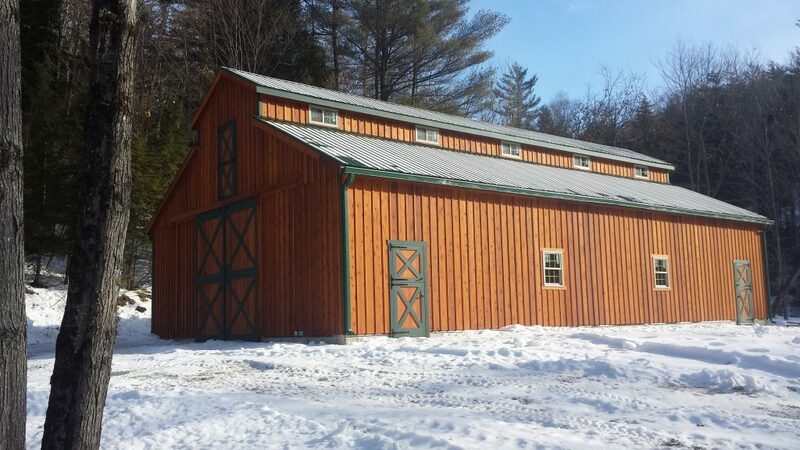 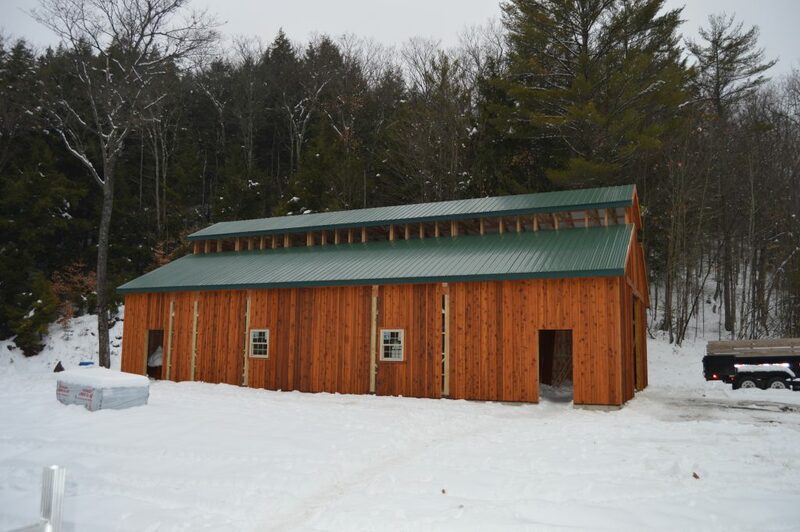 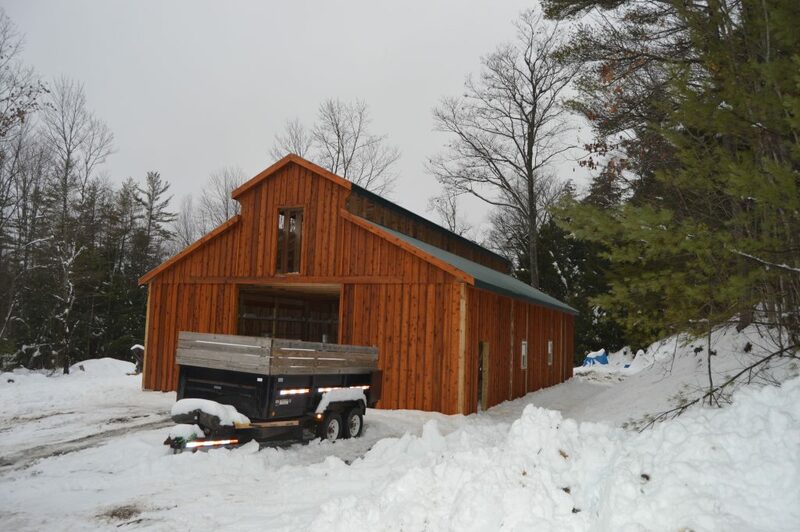 A 36’x60’x12′ monitor prefab barn stands completed with an attic monitor truss in Chestertown, New York. 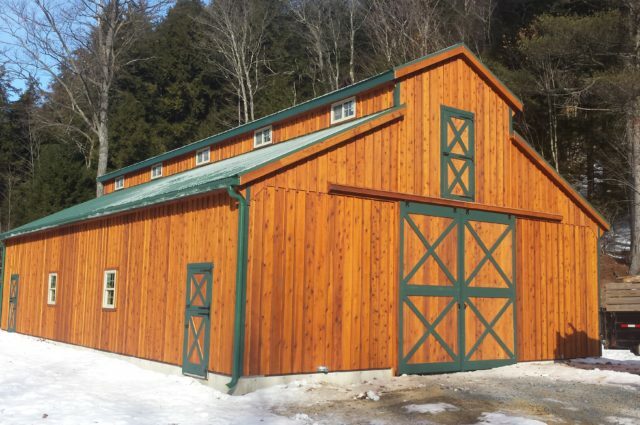 On the exterior, sturdy cedar board and batten siding is paired with a custom sikkens stain finish, and dark green trim on the doors and windows matches beautifully with the metal roof. 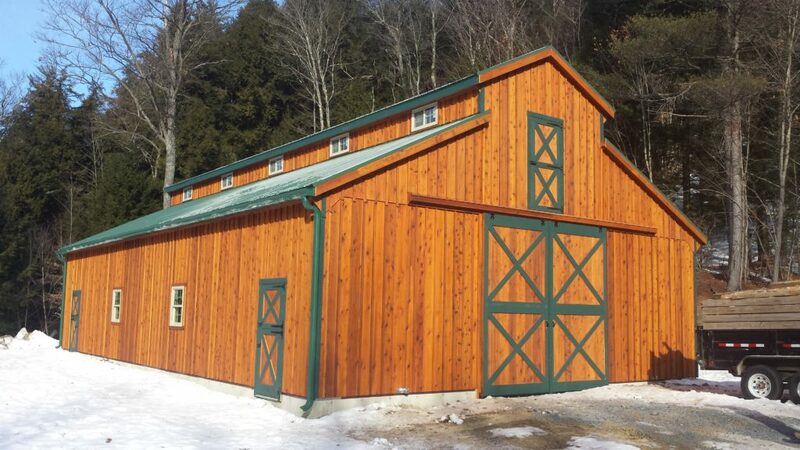 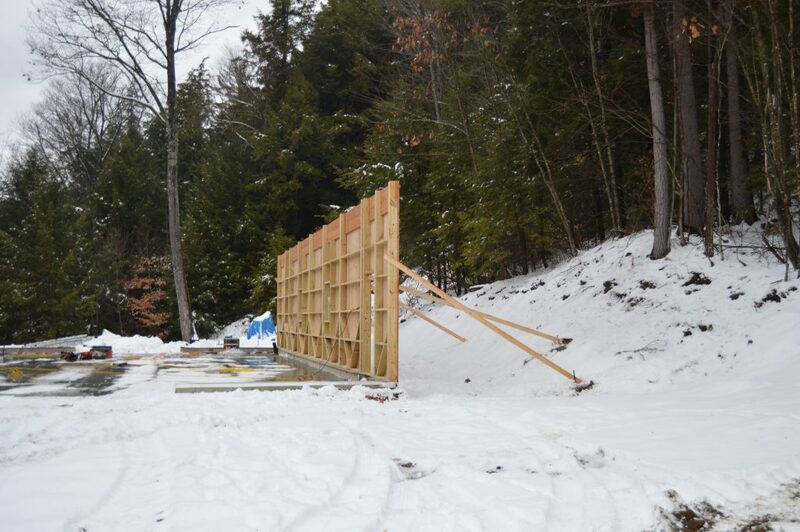 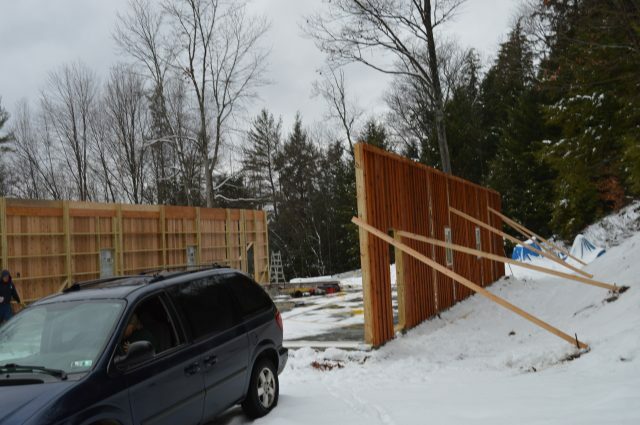 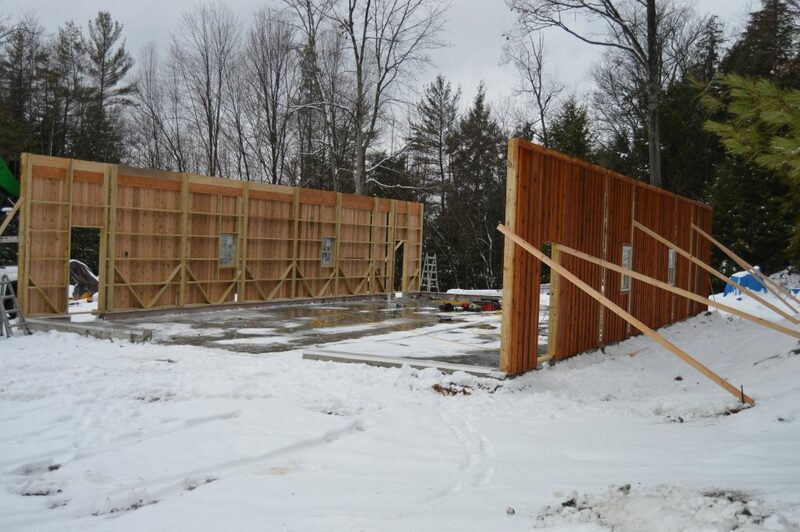 By request of the customer, we built concrete walls and a concrete pad in this barn. 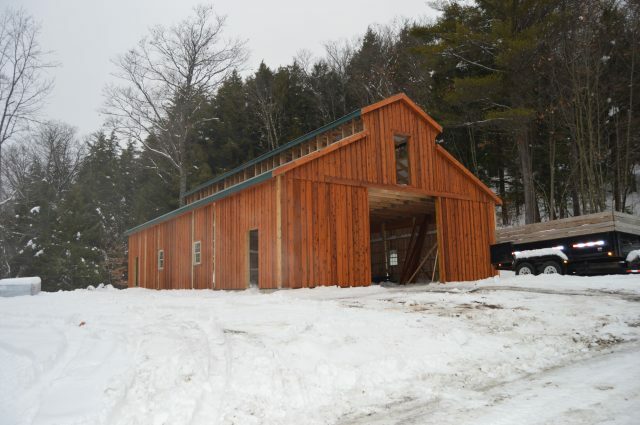 The completed build also features 4 dutch doors, a loft door at each end, vinyl single-hung windows, and a 32″ cupola.